Canon has announced a slew of new cameras, chief among them being the much-anticipated PowerShot G1 X. The legacy brand has taken its sweet time answering the call of the mirrorless market, and while it doesn’t boast interchangeable lenses, there’s plenty else in the G1 X to take stock of. The new camera has a 1.5-inch, 14.3-megapixel CMOS sensor. That’s a larger sensor than the PowerShot S100 had, a device that in many respects bested former models from Canon’s highly-praised lineup. Canon’s been shifting to CMOS sensors for this lineup, and one this it means is a faster burst mode. This will also translate to even better low lighting performance — in fact, Canon says the G1 X’s interior will yield nine times more light sensitivity. Photographers will be able to use the camera’s shallow depth of the field and ISO rage of up to 12,800 to push boundaries not normally tested by point-and-shoots. The G1 X also features a 4x optical zoom with an aperture of F2.8-F16, so even though it’s not an ICL system, you still have versatility at your fingers. Canon’s long been considered the king of point-and-shoots, but don’t be fooled by the G1 X’s PowerShot prefix; this device is more in the vein of the Fujifilm X10 than the S100. Its DIGIC 5 processor means high speed burst mode will blow older units out of the water, and color accuracy should be more natural. High-end fixed lenses can be a hard sell, however. Your options are inevitably limited, and paying top-dollar can be difficult when you know you can’t upgrade and swap out your glass. The segment just naturally comes with a few caveats. The G1 X’s exterior is somewhat reminiscent of the very popular G12, but we also see a bit of the Olympus PEN series in its aesthetics. 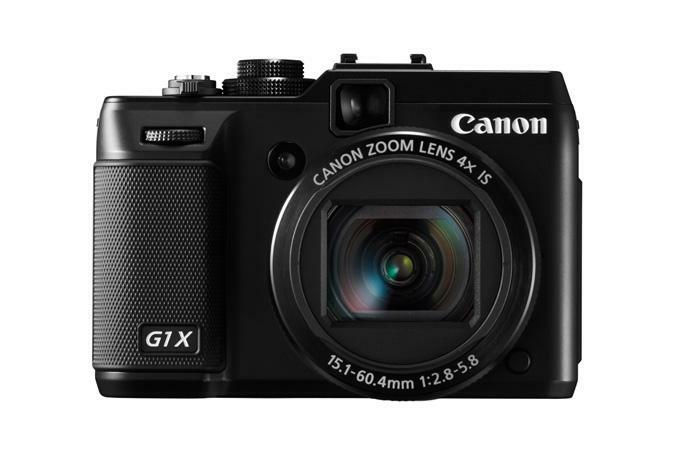 And that’s a good thing: the lineup has been heralded for its design, and breaking out of the minimalist sleekness of the PowerShot series sets the G1 X apart. But the digital camera market is a state of flux, and hybrid segments are popping up left and right. The Fujifilm X-series has defied category long enough, and now Canon is being to market a device that can sit beside it and offer a whiff of competition. The G1 X will be available in February for $800. See below for more of the new camera’s specs and check out our Canon PowerShot G1 X photo gallery. LG Spectrum with 4G LTE and 'True HD' unveiled for Verizon - Will LG cripple it with Bing?